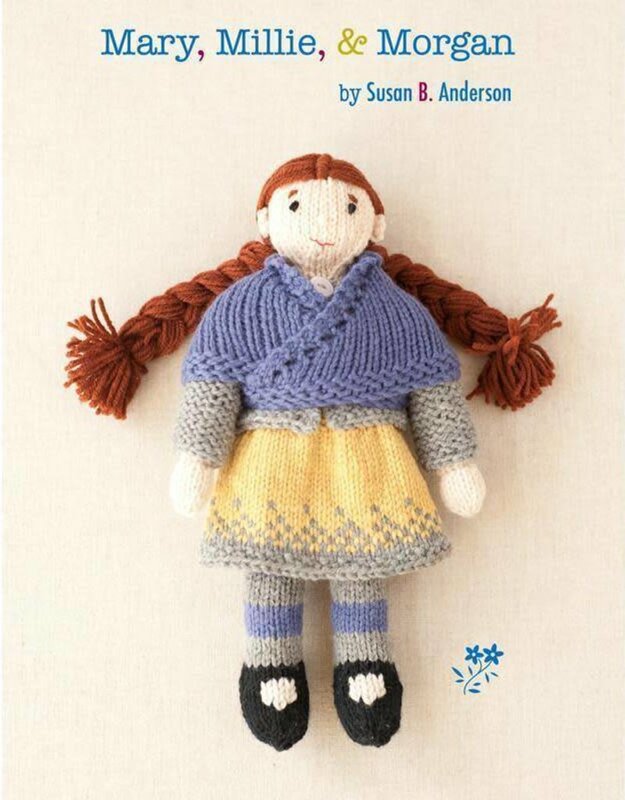 Book-Mary, Millie & Margan - Spun Fibre Arts, a local and online yarn store specializing in natural fibres. 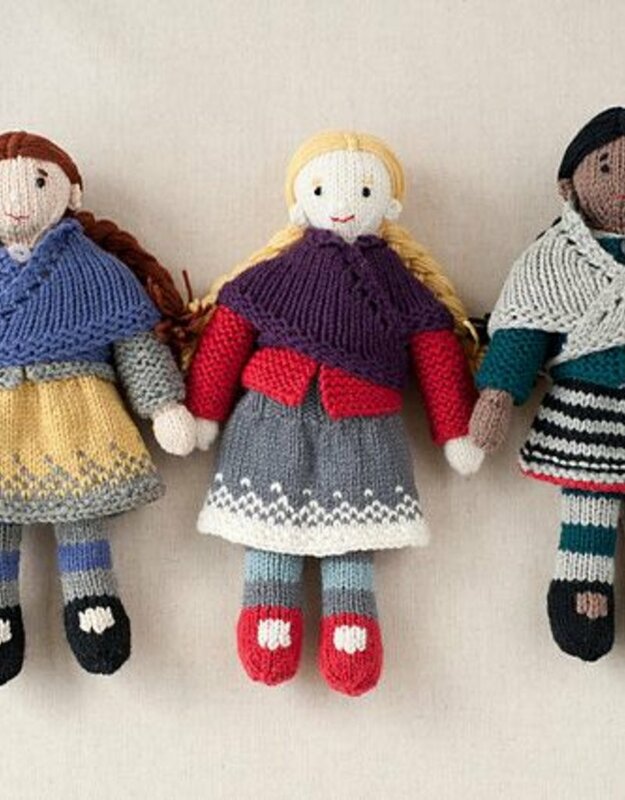 Mary, Millie, & Morgan is a delightful collection of knitted girl dolls and clothing, designed by Susan B. Anderson. 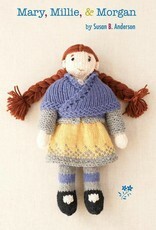 One doll, sweater, shawl, skirt and dress pattern worked up in three different colorways. 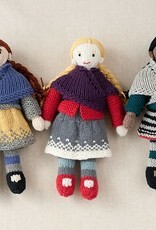 Everything is knitted from seamlessly from the top down.